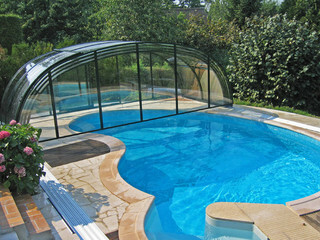 The Laguna is extremely spacious and one of our most popular designs. 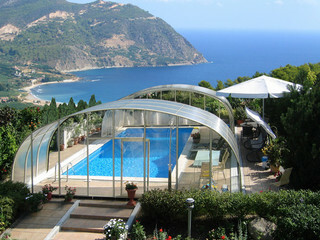 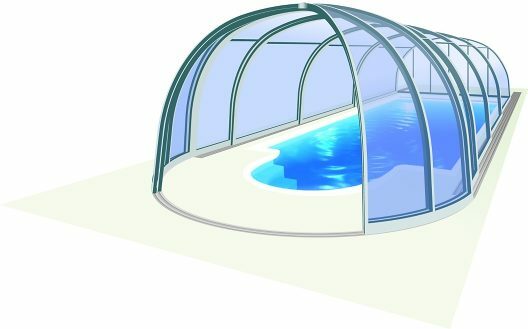 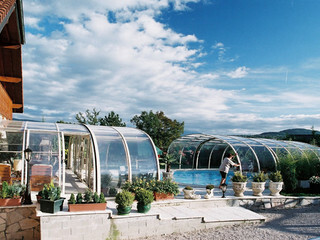 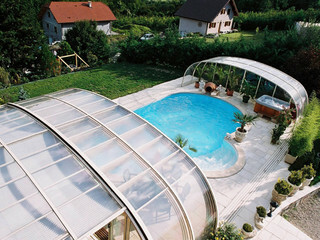 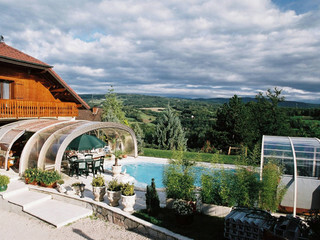 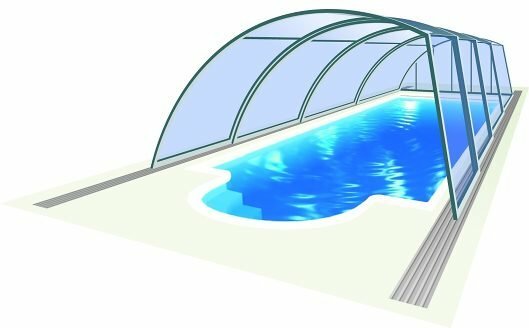 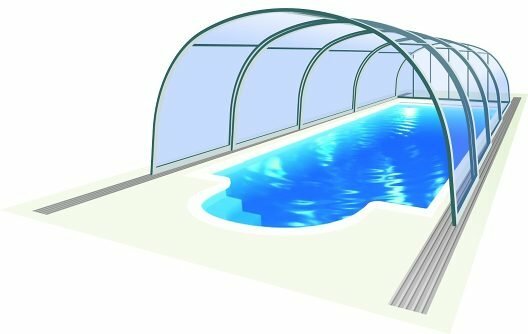 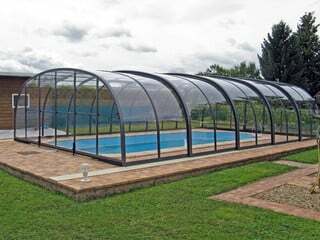 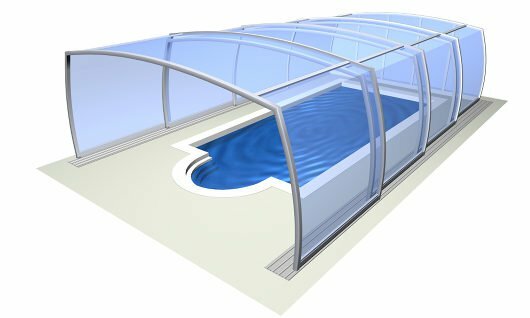 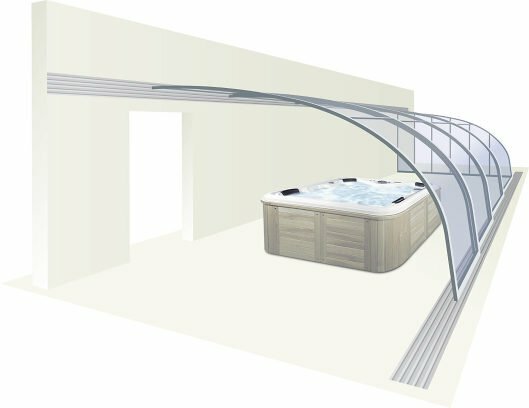 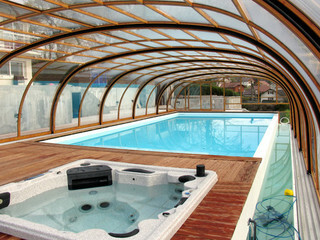 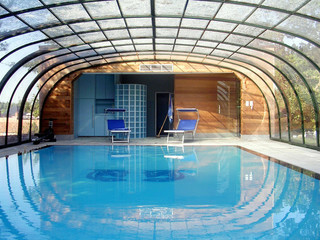 The spacious creation with its elegant design transforms your outdoor swimming pool into indoor paradise in just seconds. 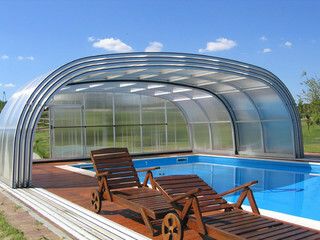 It is incredible how easy you can open and close even a large enclosure like the Laguna. Many of our customers use this enclosure while entertaining family and friends – it is large enough to fit tables, chairs and create a new party place in your yard.